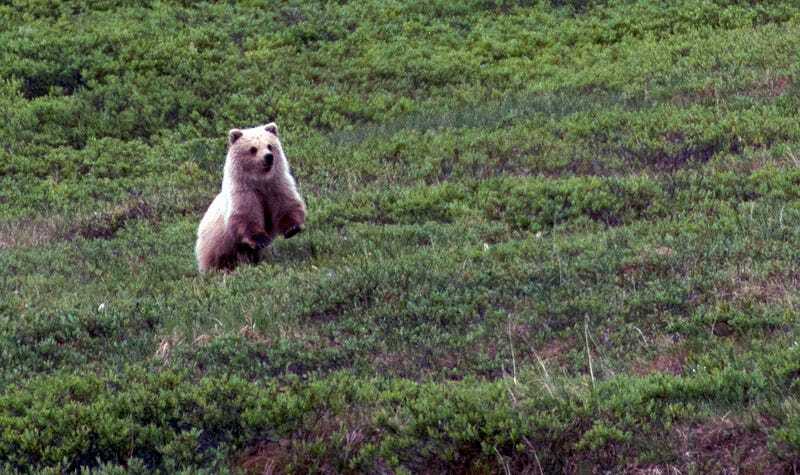 A grizzly bear in Denali National Park, Alaska. It looks like nobody’s going to be shooting a Yellowstone grizzly bear for sport this year after all. On Monday, U.S. District Court Judge Dana Christensen restored endangered species protections to grizzly bears in the Greater Yellowstone Ecosystem, asserting that the U.S. Fish and Wildlife Service (FWS) acted “arbitrarily and capriciously” when it chose to delist the 700 bears in 2017. The ruling ends a high-stakes showdown over what would have been Idaho and Wyomings’ first grizzly bear hunting seasons in over 40 years. Wyoming’s planned hunt of up to 22 bears, in particular, sparked a national uproar, as those who opposed it on moral or scientific grounds squared off against ranchers and farmers living near Yellowstone. Both cases considered a predator that was virtually extirpated across the lower 48 before receiving endangered species protections. Wolves and grizzlies both still occupy a fraction of their former range and need large habitats and connected populations to muster a more complete recovery. The Greater Yellowstone grizzlies are the second largest of five isolated groups scattered across Wyoming, Idaho, Montana, and Washington. These 1,800 bears represent a small percentage of a population that once roamed coast-to-coast. And while the Yellowstone grizzlies have rebounded somewhat in recent decades, they are still isolated from the approximately 1,000 bears living in Montana’s Northern Continental Divide Ecosystem and the other, far smaller subpopulations. Greenwald wasn’t hopeful about such a plan emerging under the Trump administration. But at least with this latest ruling, one potential threat to grizzly recovery has been thwarted for now.